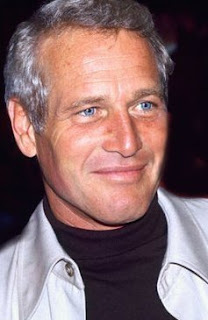 Today in 1925 Paul Newman was born. Newman is best known as an American actor and film director and producer who won numerous awards for his films. But the blue-eyed actor was also an entrepreneur, humanitarian, and auto racing enthusiast. He founded Newman's Own, a line of food products in 1982, which he donated all of its income (after tax) to charity. Newman died in 2008 from lung cancer. Thank you for this tribute. I buy Newman's Own all the time, because he started it and because it's for a good cause.